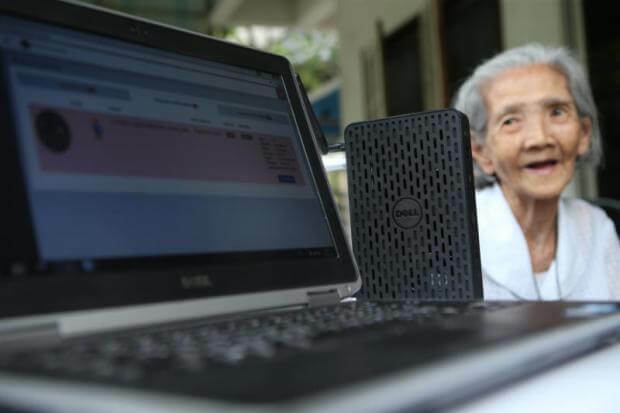 The Saensuk municipality has joined hands with Dell Corporation and Intel Microelectronic (Thailand) to kick off Thailand's first smart city for elderly people in Chon Buri. The first phase of Saensuk Smart City is designed for smart healthcare. Under the concept, elderly people from at least 30 families will have their health monitored via smart wristbands. The smart health zone will also include a fall detection system to deal with the ageing society. "We chose to implement smart healthcare at our smart city because there are about 6,000 elderly people out of 40,000 in the Saensuk area," said Narongchai Khunpluem, mayor of Saensuk municipality. "We want to improve their quality of life." The municipality has received strong support from Burapha University, BAESLab and IoT City Innovation Centre to design a smart healthcare system with technology from Intel and Dell. Mr Narongchai said municipal nurses in the Saensuk area visit elderly residents regularly as part of ongoing patient engagements. But the nurses are not always able to respond swiftly and appropriately in emergency cases. At Saensuk Smart City, nurses can remotely monitor the health of elderly patients using the cloud, data analytics and Bluetooth connectivity. During the first stage, elderly patients wear a small Bluetooth-enabled smart wristband or a necklace. The smart device monitors the patient's walking distance and sleeping pattern, and can alert healthcare practitioners when unusual activity is detected, such as an abrupt fall or if the panic button is pressed. If the system detects a fall, it will automatically alert the nurse and notify the elderly person's contact through a short message. "Currently, we have elderly patients in 30 houses and expect all 150 houses will be full by the year-end," Mr Narongchai said. "After that, we will expand to work on the project's smart tourism and smart safety to attract visitors." Saensuk Smart City is expected to be completed by 2018. It will use face detection as its IP surveillance at Bangsaen beach when it implements the smart safety concept and a tourism information system ranging from maps and local attractions will be part of its smart tourism promotion. Wiroon Sriborrirux, associate professor at Burapha University, will be speaking and sharing on Saensuk's smart healthcare system and smart city initiatives at the 13th edition of Asia IoT Business Platform in Bangkok, Thailand on 24-25 July 2017.